I always draw before starting a major piece of work. A small piece can inspire a number of larger ones, and I never quite know where this will take me. 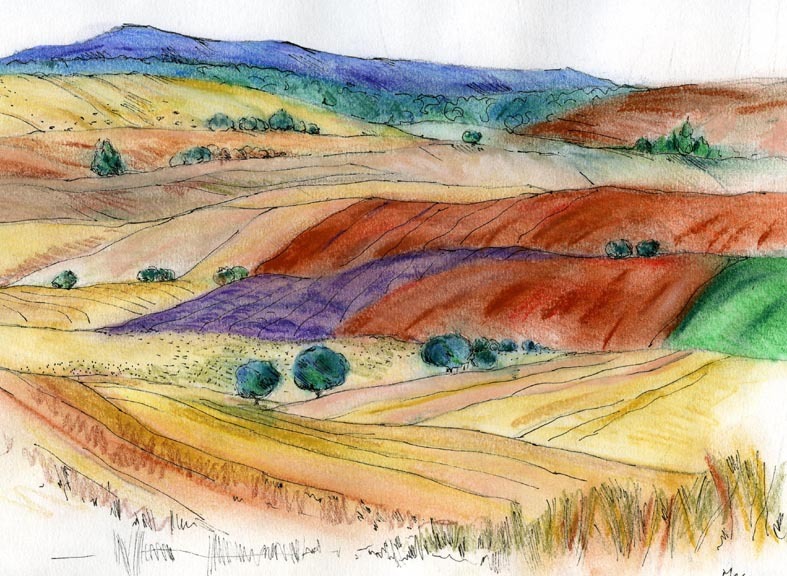 I’m attaching a drawing of lavender fields observed near a small town called Covarrubias in central Spain. I have been continually drawn back to this landscape. This mixed media drawing uses pen, pencil, pastels and watercolours. 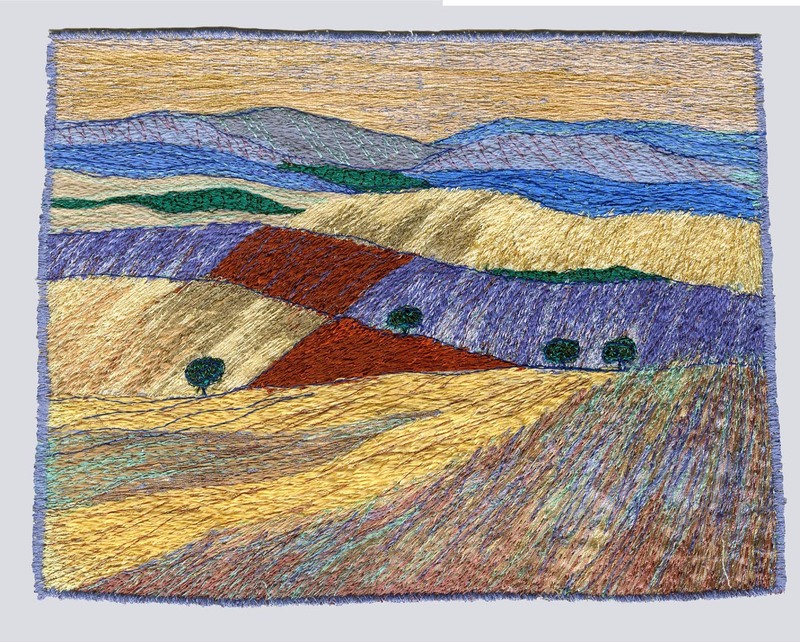 I have an article hopefully coming out in Stitch magazine this summer which looks at this theme.The textile is just one response to a series of drawings including this one.